Your subscription to The Robert Keebler Tax & Estate Planning Monthly Bulletin has been processed. You should receive an e-mail receipt for your order shortly. If you signed up for the monthly payment plan, your credit card will not be charged until February 2016. The Monthly Bulletin will begin in January 2016 (and will be sent to the e-mail address provided to us sometime within the month of January). 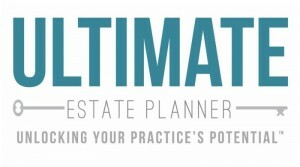 If you have any questions regarding your subscription, please contact us at 1-866-754-6477 or orders@ultimateestateplanner.com.